To many casual Star Wars fans, the name Bill Slavicsek will mean little. To others with a deeper knowledge of the makings of Star Wars he will be a familiar name, thanks to his work on the third edition of the A Guide to the Star Wars Universe and going even further back to his days at West End Games, helping to write the original version of Star Wars: The Roleplaying Game and creating countless planets, characters, and all manner of information. What many won’t know is just how integral Slavicsek was in the creation of the Expanded Universe, and how much of an influence his writings still have on Star Wars to this very day. 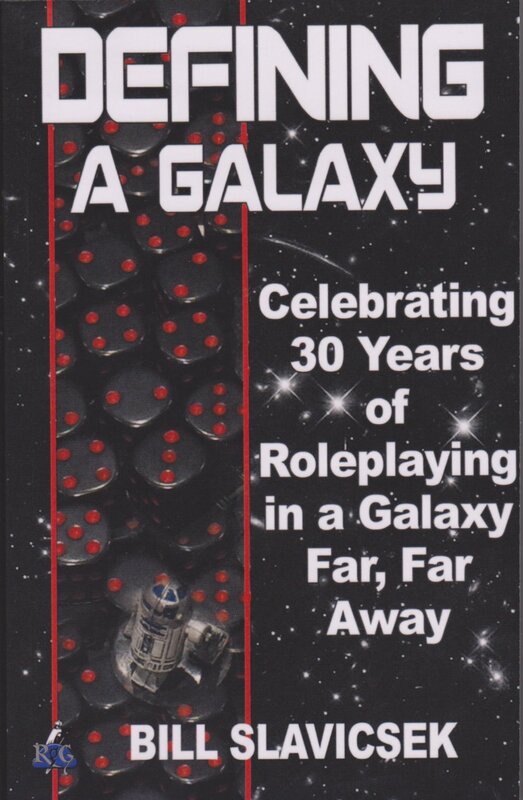 Defining a Galaxy: Celebrating 30 Years of Roleplaying in a Galaxy Far, Far Away does a fine job of laying out just how it all came together and what his, and West End’s part in the story was. A card carrying Star Wars fan, Slavicsek explains his love of Star Wars (he skipped high school to see the original in ’77, seeing it 38 times that summer) through the original trilogy to 1986 when he started at West End Games on one of the two licences they had at the time, the RPG game Paranoia, and the dark times that followed as interest in the saga began to fade. As he says ‘other than a new ride at Disneyland, it appeared that Star Wars was going to sink into obscurity‘. For WEG to outbid the mighty TSR was a minor miracle in itself, but the scope WEG were given within the constraints of an existing IP to design and create an expanded canvas for roleplay stories and scenarios was unprecedented, especially in this current tightly managed canon era. Bill and his fellow writers were allowed to join the dots, fill in gaps where necessary and create key elements of the Star Wars fabric. 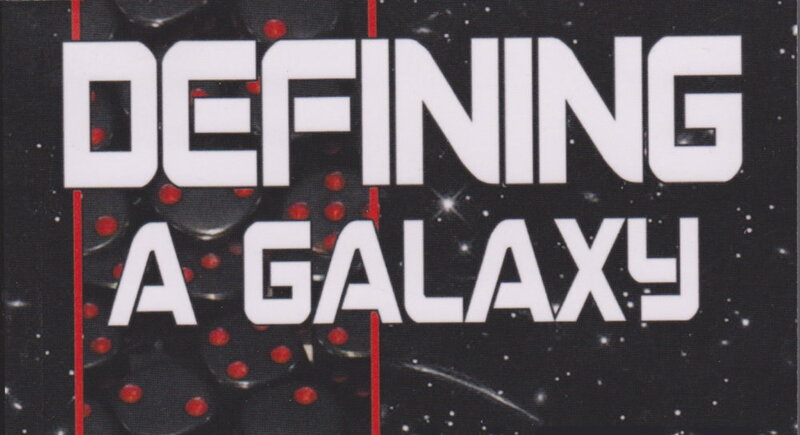 The planet Ryloth, the species names Twi’lek and Ithorian, Ponda Baba just a handful of his creations, and the book takes us through the original RPG guide section by section, explaining the details behind their creation. 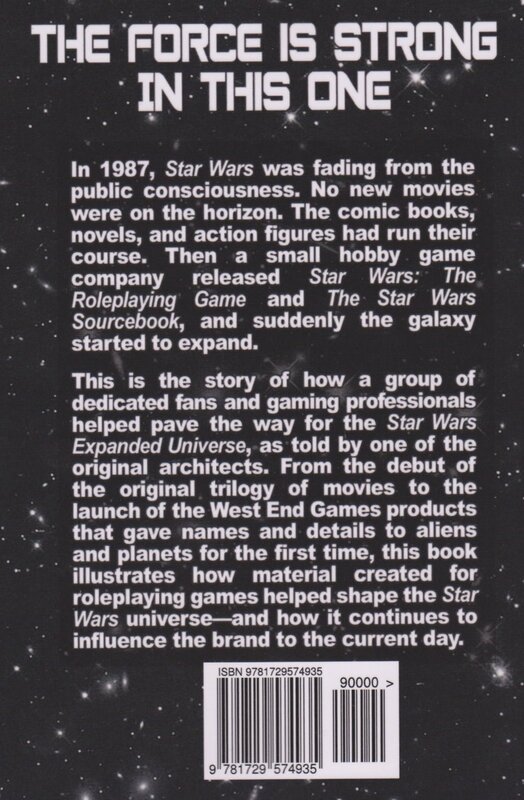 The era of Heir to the Empire – when Timothy Zahn was famously handed a huge pile of WEG books to use as source material for the Thrawn trilogy – saw vast changes as other licensees came on board during a growth period for Star Wars and WEG had less of a free-hand to create. We follow Bill through those years as he left WEG to work on D&D for TSR and on to Wizards as WEG collapsed and the licence changed hands. He even details which of his creations made it into Star Wars Rebels, Rogue One, and Solo. Star Wars owes Bill Slavicsek a huge debt (as does Leland Chee, who was hired by Slavicsek and given the moniker of Keeper of the Holocron by him. 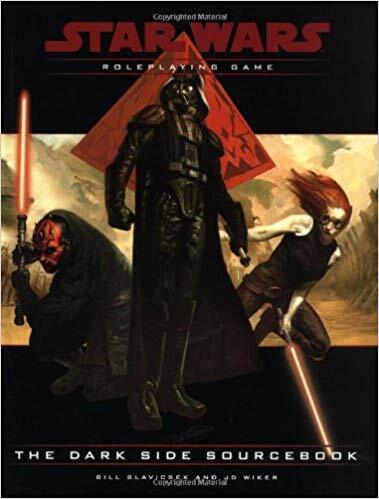 Check out Wizards The Dark Side Sourcebook from August 2001 for the first time he was called that) and as an unsung hero of the saga this book deserves to be read far and wide. It’s vital for RPG enthusiasts and fans of the broader saga, and while it could never claim to be War and Peace in size, this 164 page book packs in more than enough life to fill a space cruiser.